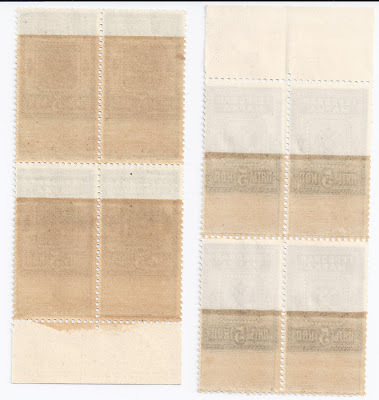 In addition, they also appear to be gum trials: only part of the back is gummed perhaps with a view to seeing how the gum affected the appearance of the front of the stamp. Any suggestions? 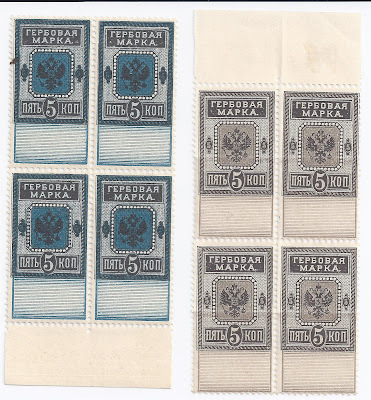 These lovely blocks 4 were in the Agathon and Oleg Faberge fiscal collection but, unfortunately, Agathon has not provided an acquisition note on either block. Single copies from the same source also exist - Cherrystone sold a single copy of the blue and black stamp for $260 hammer ($320 with commissions) in their May 2005 sale (Lot 2012). 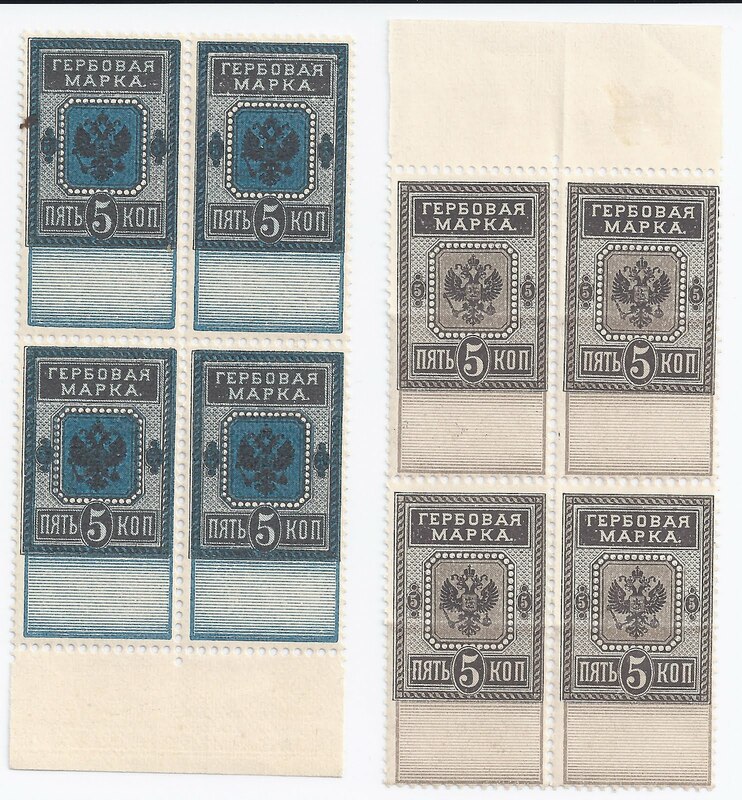 Now I think it is probably time for me to let go of these blocks of four.